I have resisted incorporating computer/hi-tech/digital/video into my quest for a better golf swing being of the generation that believed Hogan was correct, you should dig your swing out of the dirt. Besides some 20 years ago I watched a video of my swing and rather than taking it as an instructional tool I was more concerned with the clashing colors of my slacks and shirt. That’s not to say I haven’t tried computer swing analysis nor that I am a stranger to flight monitors, just I am reluctant to use them all but infrequently. So having revealed my techo-prejudice you can probably guess my frame of mind when I agreed to do a 10 session test of the SwingSmart. Using it is simple. Attach the lightweight sensor to the shaft below the grip, “link” it to your smartphone via Bluetooth and swing away. 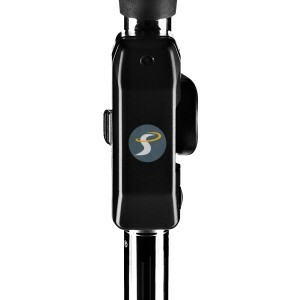 Gee, it even sounds like I know what I talking about but truthfully setting up the SwingSmart is easy. The only other things you have to do is make sure the sensor module is charged, the app is downloaded to your smartphone and you’ve designated the club you will use. Data shows up on the main screen at once, face angle at impact, shaft lean, tempo and swing speed plus is stored for later retrieval. However, the feature making the biggest impact on my understanding was the swing path, in 3D, that appears when you tap the center button on the main display. Path is critical of course since it influences both direction and shot shape. I found my take-away w as more of a push-away and actually was going slightly outside the first few inches. The club then swung to the top alright (though I was past parallel even with medium irons) and looped a little to the inside but not enough to compensate for the incorrect take away giving me an over the top downswing at least part of the time. Put another way, I would never win a Jim Furyk-swing lookalike contest. That swing shape of course causes too steep an attack angle (really digging the dirt!) crossing to the inside after impact so the ball was pulled left. As soon as I saw the 3D depiction, showing my faults, a light bulb went off and I began working on creating a better swing plane and I’m happy to report ten sessions later the ball is more on line more often and with more distance. The one thing you have to be careful of is positioning the sensor in line with the leading edge of the clubface since this is the reference point for the captured data. The SwingSmart web site has lots of videos showing everything from how to attach the sensor to its use while hitting balls and how to retrieve data and view your swing on whichever device it’s linked. And as a bonus their web site also has videos featuring Peter Kostis on how to cure common mistakes uncovered by the SwingSmart. 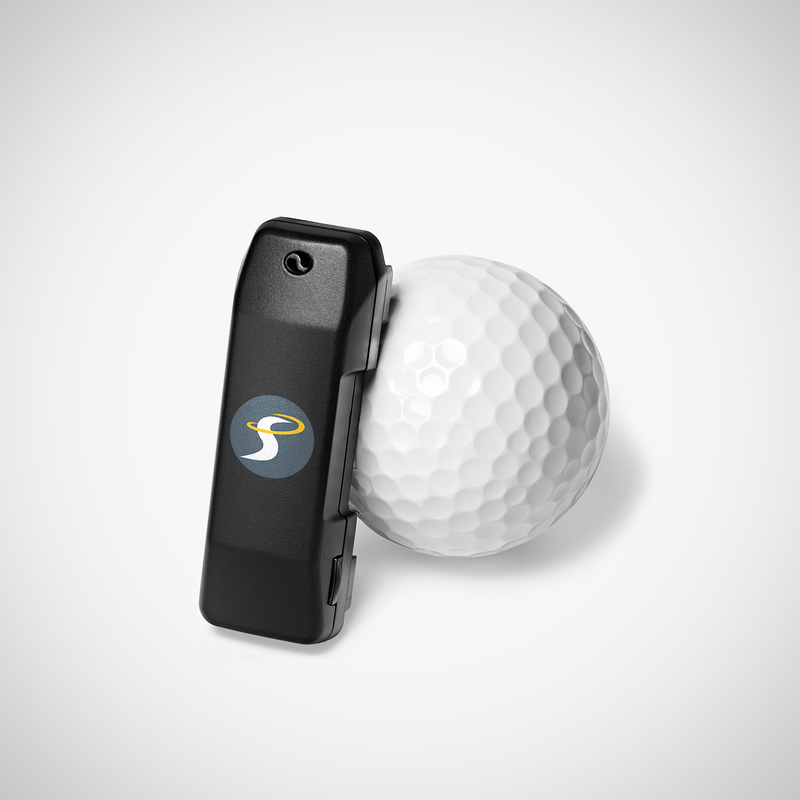 So, is the SwingSmart worth its $250 price? The answer is yes provided the user is willing to put the time in to correct the faults it reveals…otherwise it’s just another piece of hi-tech gadgetry that thankfully doesn’t show one’s lack of sartorial sense. Peter Kostis’ picture and product images courtesy of SwingSmart and NewSpin Golf.